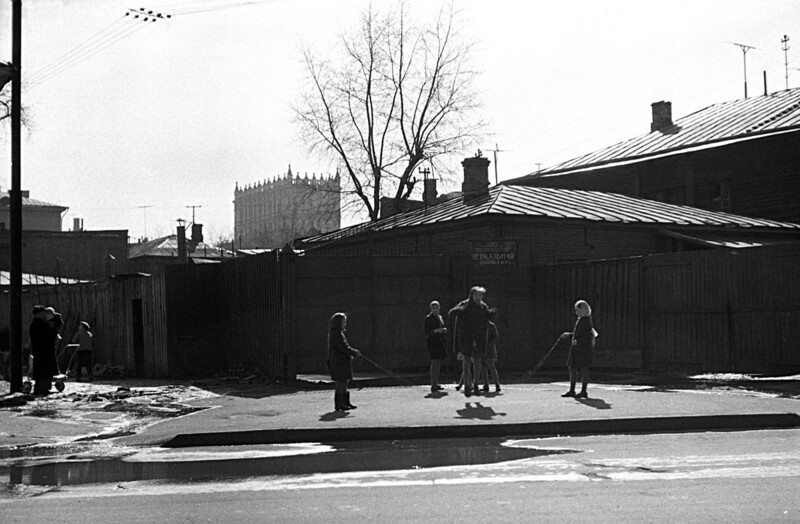 Russian photographer Vladimir Stepanov captured fleeting moments of daily life in Soviet Moscow. 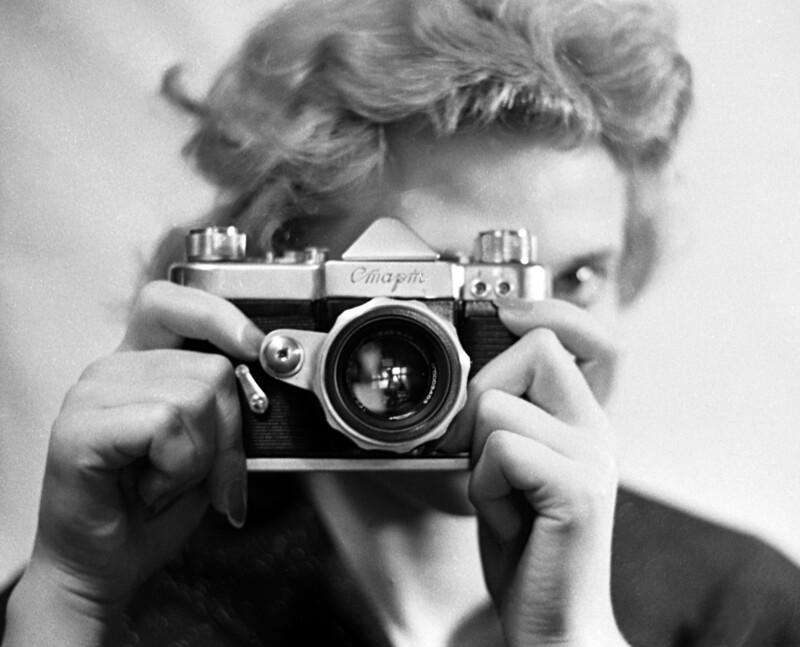 A revolutionary style of photography was born in the 1950s in the era of Khrushchev’s “thaw”. Photographers like Vladimir Stepanov experimented with form and expression, documenting the lives of ordinary citizens with astonishing accuracy, emotion and detail. 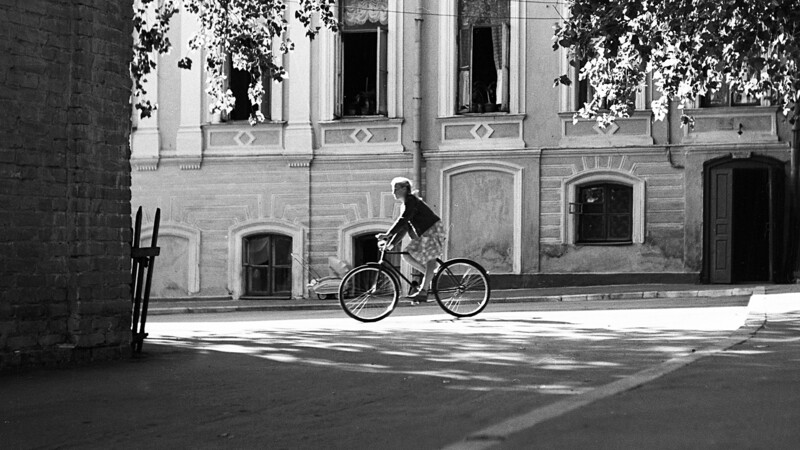 The Lumiere Brothers Center for Photography has dedicated an exhibition to the work of Vladimir Stepanov called “The Soul of Moscow Streets”. The exhibition will display 60 original photos and runs until September 16. 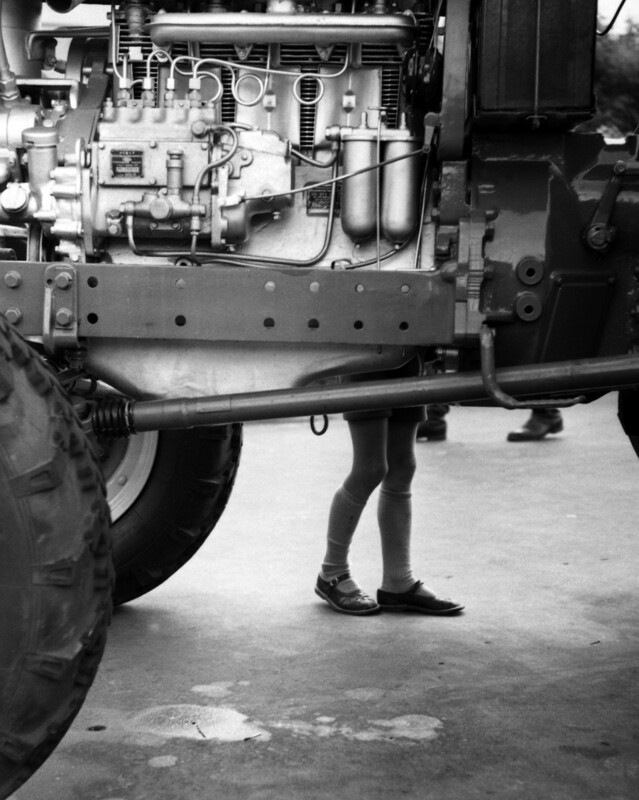 A cropped photo displaying a cross section of a car and a pair of legs too! 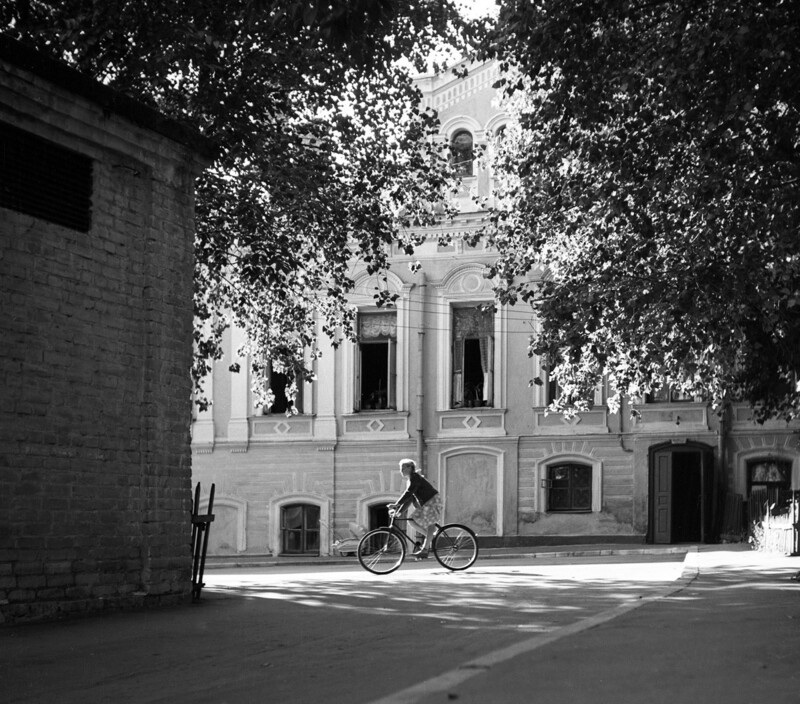 A young lady enjoys a bike ride during springtime. 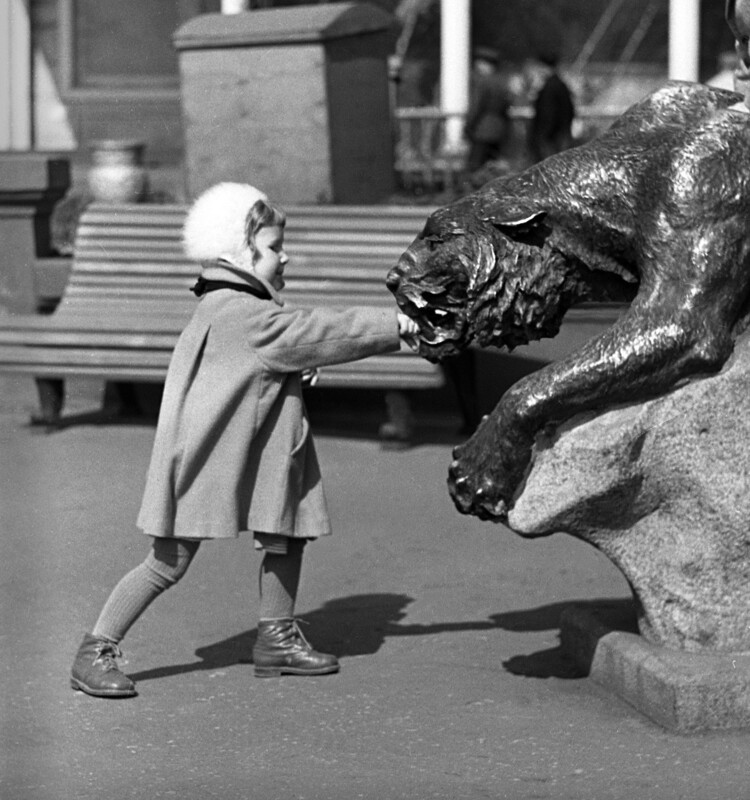 A small child playfully strikes the mouth of a panther statue. A woman peers into the lens of the famous Start camera. 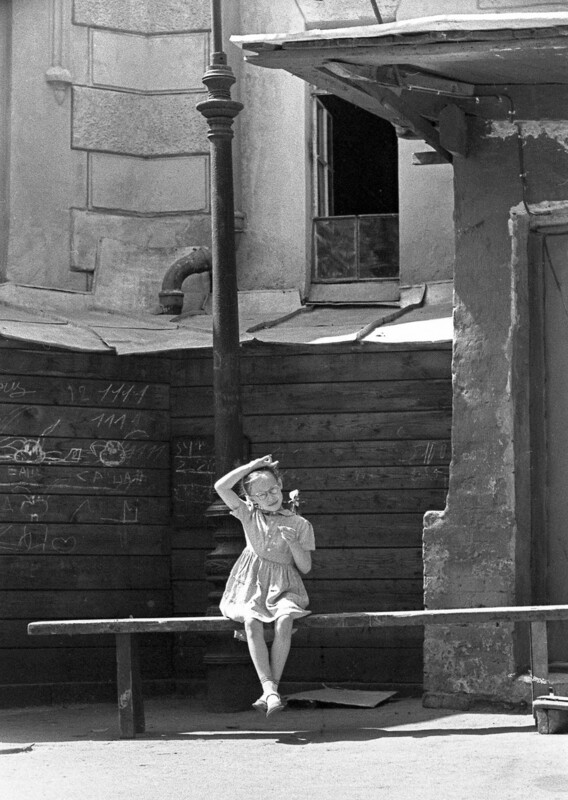 A young girl, clutching a flower in one hand, sits idly on a bench on a hot summer’s day. 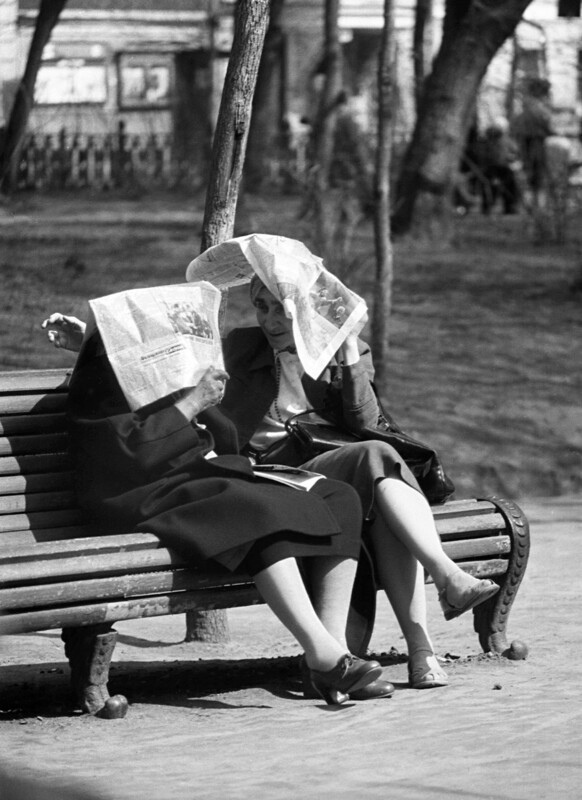 Two women shield themselves from the sunlight with newspapers while chatting away. An ordinary day in Moscow - a busy intersection filled with cars and pedestrians. 8. Skipping rope. 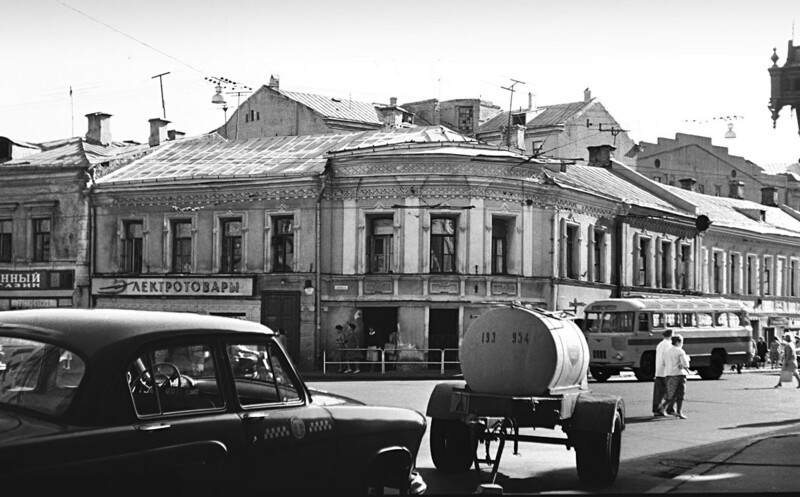 Staroalekseevskaya Street, 1950s. How did children amuse themselves? They played in the streets of course! 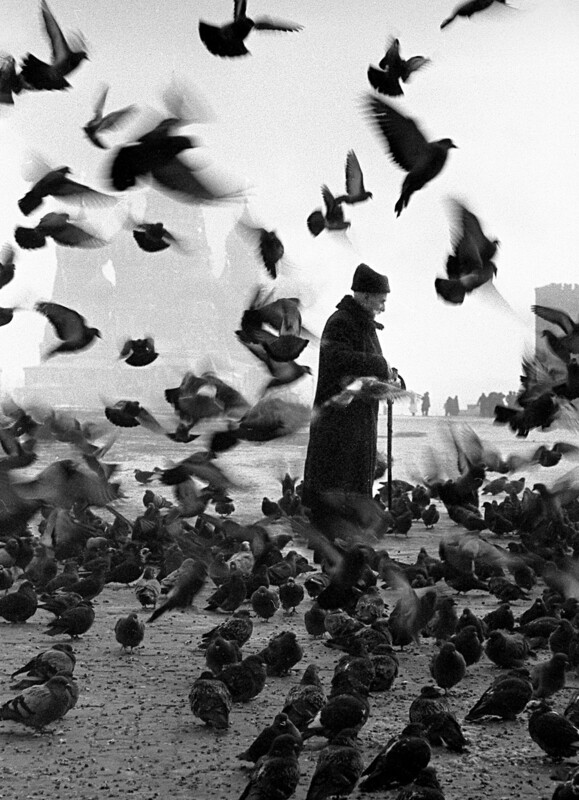 Against the backdrop of St. Basil’s Cathedral, partially obscured by fog, a flock of pigeons frantically flap their wings around an old man on Red Square. 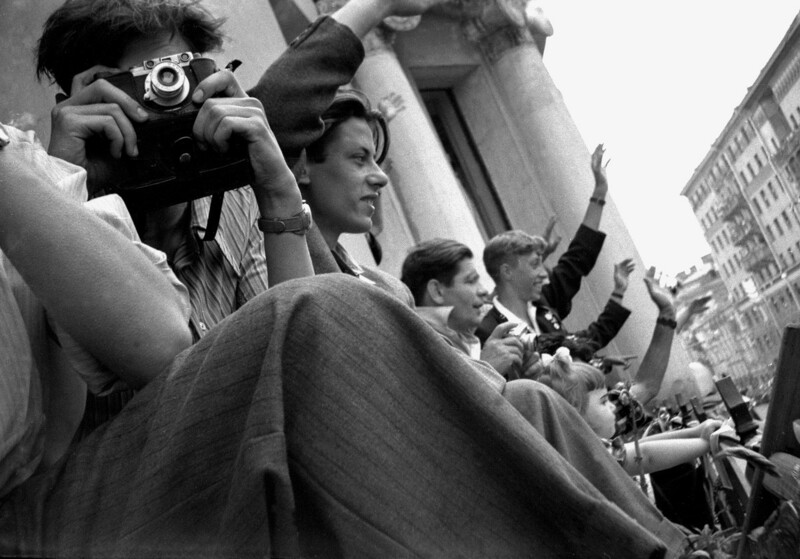 A crowd of young men cheer and wave from a balcony and eagerly reach for their most prized possession, their camera!